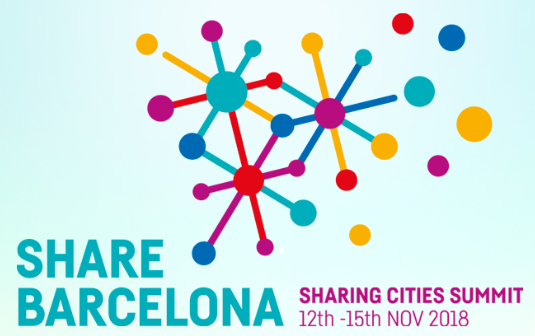 We are co-organising the Sharing Cities Summit Barcelona 2018, which will take place in Barcelona on 12 November 2018. The event will gather together Mayors and Deputy Mayors from leading cities from around the world to discuss how the continuous growth of sharing economies affect the life and economic development of the cities, and what innovative measures can be taken to meet the challenges and opportunities we face, such as how to differentiate digital platforms which are not constructed on truly collaborative models. The DECODE European project develops practical alternatives through the creation, evaluation and demonstration of a distributed and open architecture for managing online identity, personal and other data, and collective governance in a citizen-friendly and privacy-aware fashion. 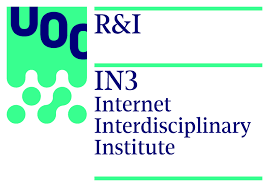 Strong digital rights that makes it possible for data subjects to determine access rights to their information through flexible entitlements and open standard-based agreements regarding data governance (on the model of Creative Commons licenses) will be woven into the technological architecture. The architecture will be demonstrated through four pilots in Barcelona and Amsterdam, in the field of digital democracy, citizen sensing, and collaborative economy. The Dimmons group is building the theoretical framework and analysis of Commons-oriented Collaborative Economy practices, under the umbrella of Col·lacy. 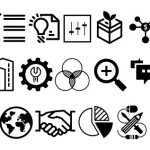 This P2Pvalue European project fosters the Commons-based peer production (CBPP) phenomenon by providing a techno-social software platform specifically designed to facilitate the creation of resilient and sustainable CBPP communities, as an empirically and experimentally grounded research process. Through a triangulation of qualitative and quantitative methods, we are elaborating with different international partners guidelines for the institutional and technical features that favour value creation in CBPP. A parallel output of the P2Pvalue project is the extensive directory of CBPP cases, at the European level and, more recently, another dedicated directory of the Catalan CBPP “ecosystem”. Both directories support an open and collaborative effort to map the many different examples of CBPP. The international directory currently features more than 300 cases of CBPP, while the Catalan one more than 1.000 projects. All data is freely available in open formats, and also resulting in different visualizations. 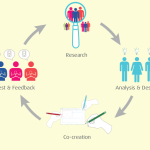 We encourage other researchers, experts and representatives of communities of practise to participate in the co-creation of a rich resource for research in this emerging field. 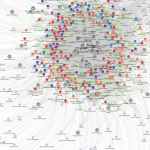 Commons Collaborative Economies: Policies, Technologies and City for the People is a project which aims to highlight the relevance of the commons-oriented approach of peer production and collaborative economy, while proposing public policies and providing technical guidelines to build software platforms for collaborative communities. The project consists in an international event, with a participative focus around co-design of policies for public administrations in this area, and a continuous engagement and knowledge generation process at the community level, where a series of follow-up debates and continuous exploration working together experts, citizens and sector representatives, has resulted for example on a series of proposals and more than 120 policy recommendations for governments, ending in a joint statement of public policies for the collaborative economy. 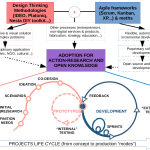 This research project explores existing and potential implementations in research processes of Design Thinking methodologies, on the one hand, and of Agile frameworks on the other one. Especially in contexts related to Commons-based peer production with collaborative and action-research methods. It tries to analyze in depth how adaptations of these two different methodological frameworks can add value to adaptability, efficiency and impact in the regular tasks and dynamics of multidisciplinary research teams, as well as engaging more participants and stakeholders in an “operative openness” of the research practices themselves. The case studies are being developed in partnership with the following projects: STEM4youth, Teixidora, CECAN.